Blackburne, the best English player during the latter part of the 19th century, was famous for his uncompromising attacking style, dazzling games in tournaments, large number of simultaneous games around the globe, blindfold exhibitions and fondness for whiskey, which he asserted improved his chess play. Such a romantic player, known also as the "Black Death", was always in the eye of the chess followers whose taste for exciting chess he made frequently spark. His chess career was to be one of the longest, spanning over fifty years, making him a legend. He was a romantic in the style of the old days where the heroic sacrifices and bright combinations where the common matter on the board all over the world. Those days, however, were to end with the entrance of a new way of thinking, a more modest and patient style, but with the effectiveness of scientific affairs. And was precisely Steinitz the man who laid the fundaments of the new theory and the positional school of chess. At the Second World Exhibition of London 1862, the Crystal Palace was remodelled, and along with the principal events, fourteen chess players where invited to take part in an international tournament, among them William Steinitz, the Austrian chess champion. That was the year of the arrival of Steinitz to English soil and he was to remain there for twenty years, establishing himself as the leading player in the world after modelling his chess thinking in the next decade from the wild and speculative combinations, where himself was raised, to his final positional understanding full of analysis and continuous research. 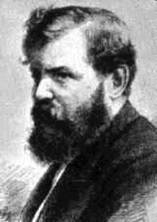 At the end he would say: "Chess is a scientific game..."
The 1862 London International Chess Tournament was won by Adolf Anderssen, an affable and modest German professor of mathematics, but a fierce, if not the fiercest, attacking player and the strongest of the world, after the retirement of Paul Morphy. Blackburne had learned to play chess not more than two years ago but his talent was already evident and was at the time the strongest chess player of Manchester. He also took part in the International Tournament, where he was to obtain a modest 10th place, managing to beat master players like Lowenthal, the Rev. Owen, Green and the newcomer Steinitz. Later when he returned to Manchester he found his job in the hosiery trade occupied and he become a chess professional. In London, owing to the favourable environment in the English chess world, Steinitz just had take the same decision, and the paths of both gentlemen were to cross many times in the future. "MATCH BETWEEN MESSRS BLACKBURNE AND STEINITZ"
"The preliminaries of this match have been settled, and the contest will commence on Thursday, the 17 inst., at the rooms of the West-end Chess Club, 8, New Coventry-street, W., where all the games will be played three times a week, namely, on Tuesdays, Thursdays, and Saturdays. The first winner of seven games, exclusive of draws, is to be declared victor. We shall publish the detailed conditions in our next number." In the following note the stakes were declared £60 a side and the games would be played with two hours to make the first thirty moves and an hour for the next fifteen. The time limit was regulated by sandglasses, and either player exceeding it by five minutes forfeited the game. The games were played in accordance with the laws of the British Chess Association, with the exception of a draw condition: if either player repeated the same move or series of moves six times in succession, the opponent could claim a drawn game. By this time Stenitz had already developed a good deal of his positional theory, triumphed in a row of tournaments and defeated respectively in match play Anderssen, as well as his pupil Johannes Zukertort, an amazingly combinative player and a worthy successor for the former. Steinitz was also the editor of a chess column in 'The Field', an important voice in the chess world because of the deep analysis of games presented. In any case it served him also as a channel to propagate his theories, which were not always well received. Blackburne in turn, had achieved his high status as one of the best players in the world. He was the English champion in 1868 an 1869, and had succeed at international tournaments like Viena 1873, where he shared first place with Steinitz, earning also his "Black Death" nickname. Finally at London 1876 he took first again. In match play the two men had already faced each other as earlier as 1862, after Steinitz won the London Masters Tournament and a series of matches between him and some prominent players were arranged. However as Steinitz had defeated Anderssen, the 1876 match was considered an unofficial chess championship, and also the money surrounding the affaire was of importance according to the time. "According to announcement, the first game in this momentous contest commenced on Thursday, the 17th, at the West-end Chess Club. After some preparations, play commenced at half-past two o'clock; the toss for the first move having fallen in favour of Mr. Steinitz. An alteration in the conditions as published in our last number was agreed upon by the two combatants, to the effect that the time limit should be regulated by alarum [sic] time-pieces instead of sand glasses." Steinitz W. -- Blackburne J.H. 1. e4 e5 2. Nf3 Nc6 3. Bb5 a6 4. Ba4 Nf6 5. d3 Anderssen first adopted this move in his match against Morphy, which at the time caused a great deal of animadversion amongst theorists, who were inclined towards advocating a more energetic attack than the nature of the opening apparently can bear. But we believe that the great German master showed a true appreciation of the spirit of this opening, which requires a treatment similar to that of the close game, namely, a steadfast gradual development, content with the small advantage of the first move. 5... d6 Morphy played here invariably 5...b5, followed by 6...Bc5; the move in the text was first brought into practice by Paulsen, and was afterwards accepted as the standard defence, which in the majority of games hitherto played has proven successful. 6. c3 Anderssen prefers here 6.Bxc6+, and then directs his attention to retaining both his knights, and preventing the adversary from dissolving his doubled pawn. White pursues here a different, and in the present position novel, policy, and makes preparation for retaining his light-square bishop, and resting his game upon confining the opponent's dark-square bishop. Whether this plan is an amelioration of Anderssen's line of attack can only be proved by repeated practical trials. 6... Be7 Against Anderssen's form of attack in this début it is more usual to open an outlet for the bishop by 6...g6. Black prefers to get his king into safety as soon as possible, and therefore at once makes room to enable him to castle. 7. h3 Not so much for defensive purposes as with the view of subsequently fortifying an attack by pawn to g4 against the opponent's kingside, after the latter has castled. 7... 0-0 8. Qe2 Ne8 9. g4 b5 10. Bc2 Bb7 11. Nbd2 Qd7 12. Nf1 This peculiar way of bringing the knight over to the kingside was much favoured by Morphy in similar situations, and was also adopted by Blackburne in the tie match against Steintiz in the Vienna tournament. But both those players had elected that course after having previously brought out their c1-bishop, while here White seemed to have time for this manoeuvre, even at the cost of temporarily blocking out his dark-square bishop. 12... Nd8 13. Ne3 Ne6 14. Nf5 g6 For pure defensive purposes it would have been feasible to retreat the bishop to d8; but Blackburne thinks that after the exchange, and since his adversary was compelled to castle on the queenside, the chances of an attack were at least equally balanced for both sides. 15. Nxe7+ Qxe7 16. Be3 N6g7 17. 0-0-0 c5 18. d4 exd4 19. cxd4 c4 Blackburne pointed out that 19...d5 would have been much stronger at this juncture, and there can be no doubt that this move would have much improved his game. White's best answer then would have been 20.e5 (for if 20.exd5 instead, Black would rejoin 20...Nf4, with an excellent game). Most likely the game would have proceeded thus: 19...d5 20.e5 c4 21.h4 and now, whether Black advanced 21...f5 or 21...h5, White retained still some considerable attack; in the former by 22.exf5, followed by 23.Ne5, and in the latter case by the answer of 23.Ng5, followed soon by pawn to f4. But, nevertheless, Black had a better chance then of repelling the onslaught, and certainly if he once got out of the attack, even at the expense of sacrificing a piece eventually, his fine array of well-supported pawns on the queen's wing would have been most formidable. 20. d5 Nc7 21. Qd2 A move necessary for defensive purposes, but also threatening. Before moving the queen, White could not utilize his dark-square bishop without subjecting his d-pawn to capture. Now White menaces a break in with the queen, either at a5 or h6, after removing the bishop, as actually occurred. 21... a5 22. Bd4 f6 23. Qh6 b4 24. g5 f5 Perhaps 24...Nge8, with the intention of offering the exchange of queens at g7, would have augmented Black's prospects of prolonging the fight; but, even if he succeeded in effecting the exchange, White's pawns and pieces were better situated for the endgame. 25. Bf6 Qf7 The sacrifice of the rook for the bishop would not have mended matters, on account of the impending 27.Ng5, after capturing the rook. Nor would 25...Qd7 have been any better, e.g. : 25...Qd7 26.exf5 Nxf5 (if 26...gxf5 instead, White would proceed with 27.g6 at once) 27.Bxf5 gxf5 28.g6 Rxf6 29.gxh7+, and wins; for if 29...Kf7 30.Ng5+ would be a destructive rejoinder. 26. exf5 gxf5 27. g6 Decisive (for, if 27...hxg6, White replies 28.Ng5), though rather plain in comparison with the fine variation which might have arisen in answer to 27.Nh4, which would probably have led to a still more elegant conclusion, e.g. : 27.Nh4 Nxd5 28.Rxd5 Bxd5 29.Nxf5 Nxf5 (best) 30.Bxf5, threatening pawn to g6, and must win, for Black dare not take the rook on account of the answer 31.Be6. 27... Qxg6 28. Bxg7 Qxh6+ 29. Bxh6 Rf6 There was little to be done; but certainly, if Black wished to proceed further, 29...Rf7 presented greater chances of prolonging resistance; but, as our readers may observe, both players were just at this stage on the point of completing the fixed time limit, and their movements bear the appearance of being hurried. 30. Rhg1+ Rg6 31. Bxf5 Kf7 32. Bxg6+ hxg6 33. Ng5+ Kg8 34.Rge1 1-0. White threatens, accordingly to circumstances, either 35.Re6 or 35.Re7, after which the defence must soon collapse. The second game, saw a Scotch game with a relatively unknown variation at the time, and used once in a correspondence game between Viena and London. Steinitz adopted the theoretical but risky London defence and was put in some difficulties. The notes by the protagonists illustrate the situation perfectly. Blackburne J.H. -- Steinitz W.
10/30/2004 4:35 AM I haven't yet played through the games; I am glad to have the information on hand at the site. What drew you to these games? MiguelVilla10/30/2004 10:01 AM I think the original attraction to the time, tales and games was Anderssen, but later I found that the XIXth century is crowded with interesting names, say Van der Lasa, Max Lange, Paulsen, Winawer, Mason, etc. Everyone of them in his decade contributing with his personal style and approach to the game. The situation was somewhat similar as modern chess with respect of styles, but then they were developing the chess theory mostly around the e4 move (or better said P-K4), another interesting factor. Thats how I found the annotated games of the 1876 match in the Chess Archeology site, and I liked a lot the comments for one can see his knowledge of theory, what issues were developing then and a little of the personality of the players. 10/30/2004 3:03 PM Well done. The attitudes of the players at the time is interesting to hear, and the arguments on the board (and off) spice up the history of the game and its development. 11/1/2004 11:41 AM Yes - the annotations of both players, the quotes from the contemporary magazine and the story about the window (!) give this piece a real feel for the history of the game. 2/20/2005 6:47 PM The games that you chose are nicely anotated with very interesting precedents for the opening moves. You were very kind to these old masters by not subjecting them to modern standards of opening play and computer analysis. All in all, a work from your heart with excellent quality. I also loved the pictures that you portray in the article making it a classy piece of work. Nowadays, kids that play chess don't care much in general for the old masters from the past. This piece of work is precisely what would encourage a kid to learn chess history from the past and chess culture in general.